If you're working for a Provincial Sport Organization (PSO), Multi Sport Organization (MSO), club or other sports organization, you probably don't have a lot of time on your hands. You're making do with just a few staff members, some of whom may be volunteers and have a small or non-existent communications budget. 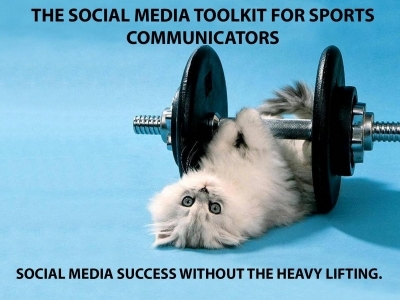 The Social Media Toolkit is here to help you - our BC sport partners - navigate the confusing and rapidly evolving world of social media. With 35 modules at your fingertips, the Toolkit offers step-by-step instructions on how to incorporate social media into your communication strategy. The Toolkit is authored by Arley McNeney, Communications Manager for BC Wheelchair Sports, published and distributed by viaSport and financially supported by the Province of BC. Why should my sport org use social media? What sites should I use? We value your feedback! Email arley@bcwheelchairsports.com or meaghanr@viasport.ca and tell us what you think!